The city of Palma has changed considerably, thanks to consequent city planning and extensive renovation measures in the old town. The so-called “pearl of the Mediterranean” is today more beautiful than ever, and the Mediterranean flair which attracts thousands of visitors can be felt in every corner. 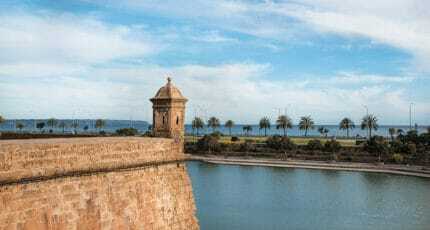 Palma offers distraction and diversity all year, making it particularly attractive to its residents. 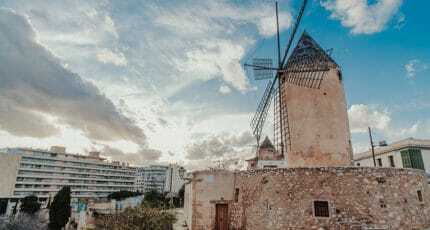 Besides the cultural benefits, there are many factors which contribute to the overall quality of life in Palma. The international schools are all located in and around the capital, the airport is within 10 to 15 minutes reach and public transport is well organized. International doctors, tax consultants and lawyers have settled down in the city centre and those who are looking for a job beyond tourism have the best possibilities here. For many property buyers, Palma offers an array of town houses and apartments for those who don’t want to spend their holidays maintaining a garden, doing household repairs and worrying about their rural property during their absence. Property owners in Palma can arrive from the airport, open the door and relax immediately without the hassles that go along with a high-maintenance finca. And those who live and work here can enjoy their weekends without having to do the inevitable chores that are required in larger homes. 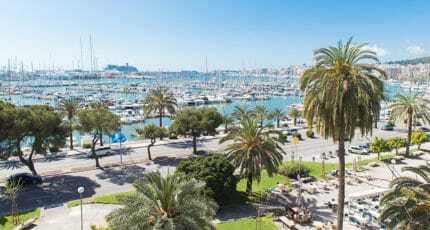 The popularity of Palma is reflected in the variety of properties offered and their prices. We investigate Palma’s quarters and surrounding neighbourhoods. The actual old town ‘Casco Antiguo’ and the quarter of Calatrava start directly behind the Cathedral. Here, majestic town palaces line the narrow, quiet alleyways. Many have been renovated over the past few years and have been turned into luxury apartments, fitted with all the modern amenities. Those on the seafront offer spectacular views of the sea and the harbor and are in high demand, as are the top floor apartments of the houses which have fabulous roof terraces and full or partial sea views. Those apartments with views of the harbor will begin at about 5,000 to 6,000 € per sqm, while those with partial or no sea view start at around 3,000 € per sqm. Generally speaking, two to three bedroom apartments with a terrace, elevator and garage are offered at a starting price of 600,000 €, depending on fittings and features, while smaller apartments with approximately 70 sqm and terrace start at 300,000 €. Many of the old townhouses have no lift, little parking space and cumbersome access. The medieval old town with its beautiful squares, cafés and bars, however, has a unique atmosphere and many don’t mind these inconveniences. This beautifully broad, leafy boulevard in the centre of the Mallorcan capital represents the most elegant of the city’s public spaces. It is also the focus point for many of Palma’s main events, from the turning on of the Christmas lights to New Year’s Eve (La Nochevieja) celebrations, plus regular book fairs and open-air concerts. But mostly it’s a lovely spot to take a stroll, enjoy a drink at one of the handful of pleasant cafes, or indulge in some upscale shopping in one of the luxury boutiques that line the picturesque paseo. La Llonja, on the other side of the Paseo del Borne, is more lively and popular with the party crowd and full of hip bars and stylish restaurants. Depending on quality and furnishing of apartments in this area, most begin at 150,000 € for a one bedroom apartment, and 250,000 € for a 2 bedroom with terrace and a living area of approximately 100 sqm. Shops, restaurants and the harbour are all within walking distance, but parking is a problem here as well. The area of Santa Catalina, further to the east, is currently Palma’s hot spot with much growth over the last few years. Santa Catalina is full of charm and a bohemian spirit. Here one will find restaurants with cuisine from all over the world, and variety of shops and cafés surrounding the fabulous Santa Catalina market. This area is not as touristy as other parts of Palma, making it more attractive to foreign residents. Prices per sqm range from approximately 2,000 to 3,500 €. Another top location, unrivaled in its popularity, is Paseo Marítimo with its magnificent views over the harbor. The planned construction of an underground tunnel below the six-lane road will increase its appeal even more if it actually happens one day! Prices here range from 2,500 to 4,500 € per sqm. Luxury apartments meet the highest of expectations and it is not impossible to find penthouses with large roof terraces and even a private pool. Community pools and fitness centers are common in many of the more modern buildings as well as underground parking and private elevators. Portixól, located further south in the direction of the airport, is similar to Santa Catalina as one of the trendy places to live and the most expensive! Two to three-story fishing houses are clustered around the beach and small harbor and have seen a massive surge in renovation. A lovely promenade begins here, over Cala Gamba up to the Ciudad Jardín, and is ideal for long walks, jogging or inline skating. There are limited properties on offer at the moment, and those houses for sale are expensive for what one gets. Prices per sqm range from 3,000 to 4,000 €. Directly north of Palma are Genova and Son Vida, both suiting those who want to be close to Palma yet prefer to live in more peaceful surroundings. 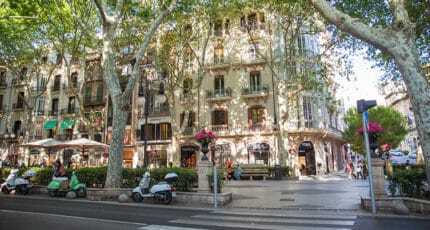 Genova has a genuine village centre, good infrastructure and proximity to the heart of Palma. Many of the villas have nice gardens and are particularly suitable for families. Some of the spectacular penthouses available have magnificent views over Palma, its harbor and the cathedral, as well as the Tramuntana mountains. Even though entry prices are relatively expensive at 470,000 euro to 1 million euro, the value for money here is justified compared to locations like the Paseo Marítimo. A penthouse at a price of 1 million euro in Genova would sell for 1.5 million € on the Paseo Marítimo. Son Vida is one of the most exclusive urbanizations in Palma. It is particularly attractive to those looking for peace, privacy, and luxury. Son Vida has three golf courses and most of the villas have fairytale views over Palma Bay. Houses in this area can only be accessed by one road which is guarded day and night, and security is a priority. 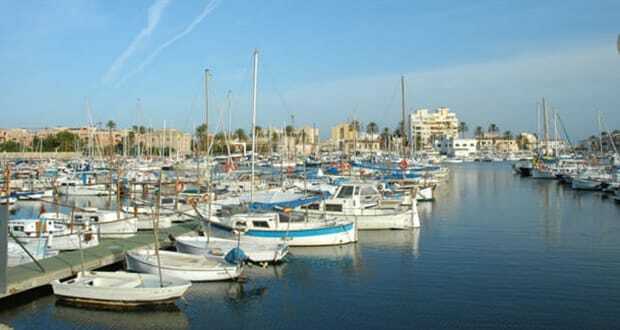 With the glamorous marina of Puerto Portals and Palma’s town centre only minutes away, this area is in high demand. The exclusive villas have a starting price of approximately 2 million euro. Its goes without saying that properties in Palma offer an ideal opportunity to potential investors. El Terreno, for example, is a well-known nightlife area and not especially attractive at first glance. Above the main road, however, there are some very nice houses, some with a garden and sea views. Most of them need to be renovated and prices are comparably low at 150,000 € (without sea views) to 250,000 € with. 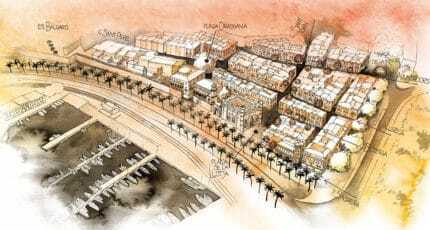 Baring in mind that the council of Palma continues to invest in the improvement of the town, it should only be a matter of time before El Terreno is improved as well. In the old town, there are still a few town palaces in need of renovation which are interesting as an investment. One should expect to pay no more than 1,000 euro per sqm for an average dwelling, and up to 1,500 € per sqm for top locations. A lot of new building projects have been developed in the Ciudad Jardín during the past few years. The high-quality apartments, close to the beachfront, are usually sold long before completion of the development. For newly built apartments of high quality, prices range from 1,500 to 3,500 € per sqm, while apartments in older buildings sell for 1,000 euro per sqm. The advantage of this location is obvious: quick access to the beach, a short commute to Palma, proximity to the airport, shopping facilities, and cafés and restaurants, all without the hassle and noise of Palma itself. There are still building plots available and further developments underway. In conclusion, those looking for property in Palma are spoilt for choice. Each area has its unique charm, advantages and shortcomings. 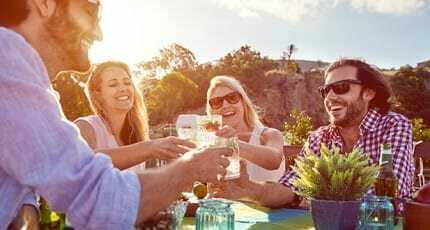 But there is one thing they all have in common – the romantic Mediterranean flair and the quality of life which attract thousands of foreigners every year from around the world. 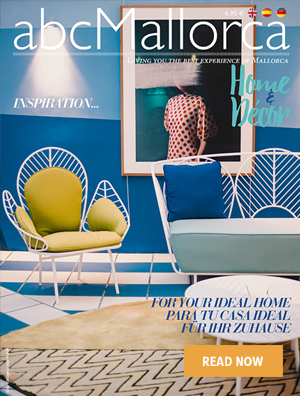 We hope you found this article about Living in Palma useful and that moving to and living on Mallorca gets even easier as a result of our recommendations. We hope you have found this article about the Living in Palma useful and that you have many memorable stays in Mallorca as a result of our recommendations.